Serve up food monster style with these Monster Truck Paper Plates! Featuring a flaming red monster truck , these plates are the perfect addition to any celebration. 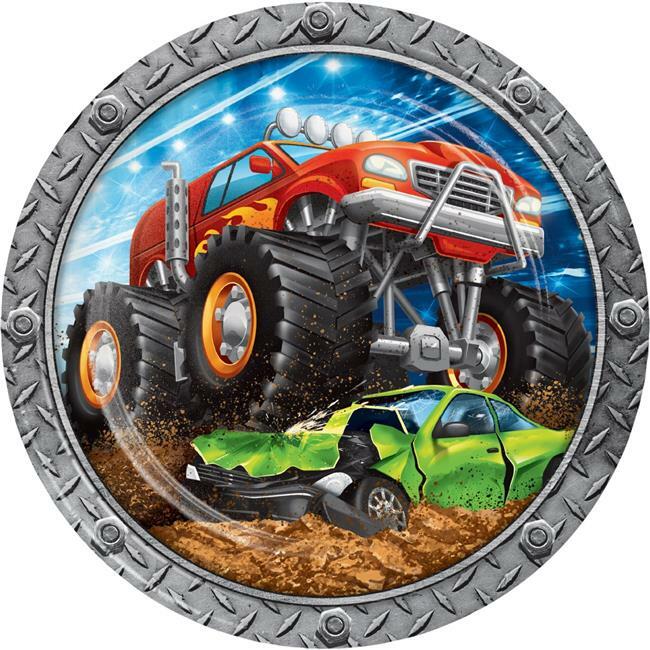 Measures 9'' and These plates can be paired with any other Monster Truck party supplies.